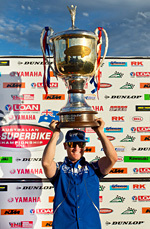 Yamaha Racing with Yamalube’s Broc Parkes has won the 2013 FX Australasian Superbike Championship after the series was wrapped up over the weekend at Sydney’s Motorsport Park. On board his Yamaha R1, Parkes lead the field into the final double header weekend rounds but still needed a solid showing to lock down the championship. And he delivered exactly that. Saturday’s racing saw Parkes return 3-1-3 finishes in the three races and keep a grip on his comfortable points’ gap back to second place. 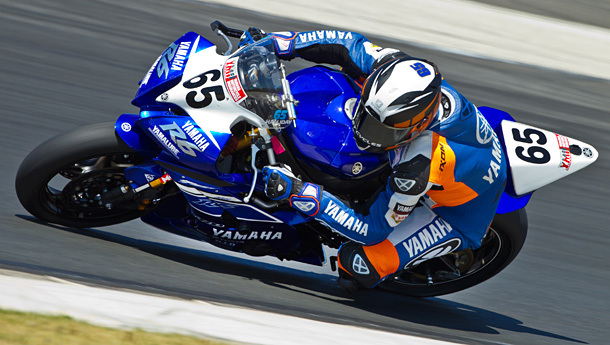 All that separated him from the 2013 FX Superbike championship were three well- constructed races on Sunday. Again, he delivered and with 3-3-1 results, he tied on points for the round with Yamaha stable mate Rick Olson and claimed the 2013 Australasian FX Superbike championship. In fact, he did it with a race to spare and the win in the final race was just the icing on the cake for a great return season to Australia for Parkes. It was some close and hard fought racing in the Superbike class that had four or five riders in contention for race wins it made for a more satisfying victory for Parkes. “My year started a little slow but the last few rounds have gone really well and I’m proud to have won this championship,” Parkes beamed. “I have really enjoyed racing in Australia again and the YRT crew have been fantastic to work with. It’s great to be a part of a team that really wants to win. “I also want to congratulate Rick and Kevin for their efforts this year and racing with them has been a lot of fun as both are such great competitors. YRT with Yamalube team mate Cru Halliday also had a consistent weekend contesting the FX600cc division. Halliday racked up three second place finishes in the three races contested but the battle on the track between Halliday and Rick Olson was intense as the pair couldn’t separate themselves. 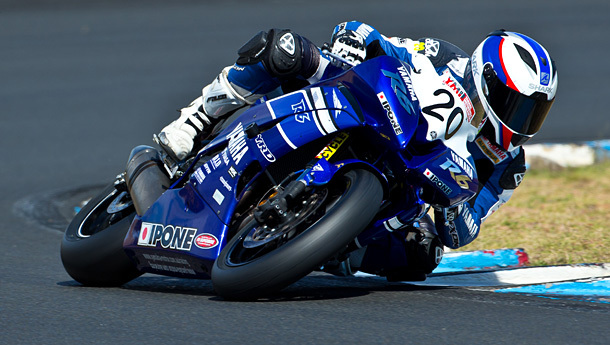 Cru Halliday in action at Sydney Motorsports Park. Halliday shaded Olson in every race and was within thousandths of a second at the end of each race making it some of the most exciting racing of the weekend. Halliday maintains his second place in the championship chase, 44 points behind Olson and with 75 points on offer at the final round, it is mathematically possible for Halliday to pinch an unlikely championship win if things fall his way. Kevin Curtain put the Formula Oz championship to bed after a dominant weekend on his thundering R1. Curtain won every race in that class over the weekend and now has a 98 point lead with only one round and 75 points on offer. The FX Superbike championship is now completed for the year while the FX600cc and Formula Oz classes have one round to go at Sydney Motorsport Park on November 15 and 16.